Kiwi Fashion Blog: Short short! I am trying to wear the short(er) skirt trend thing. I had a full clost of longer skirt from a few years ago and I never liked how they look on me! 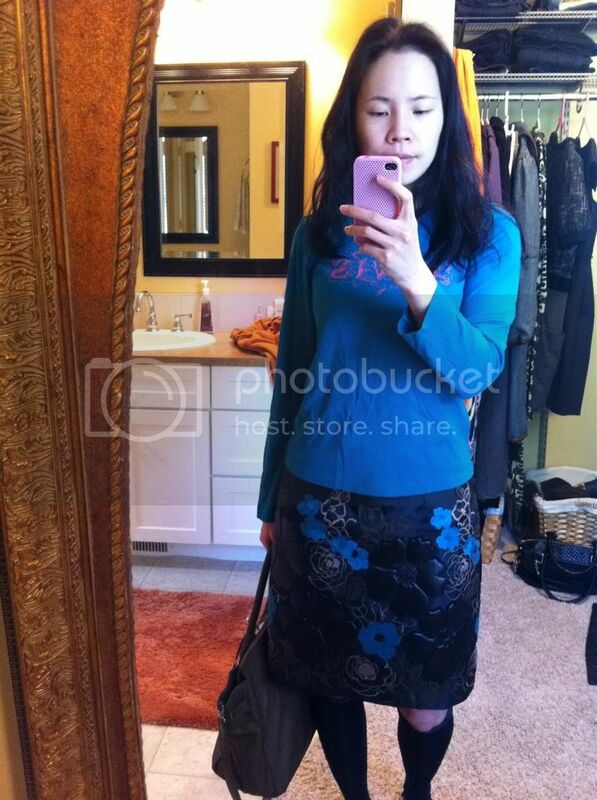 I am short (163.5cm) and not with the longest legs so long skirt makes me appear even shorter! Anyway, here is another shorter skirt I'm trying today. The texture is very interesting. It is actually puffed slightly! I love it! Paring with knee high socks and gladiator sandels (not pictured). Carrying my MT medium size bag in Mud colour!